It’s like Clinique Moisture Surge on steroids. This orange and citrus fragranced, oil-free, cream-gel moisturiser immediately penetrates tired skin, leaving it plump, irresistible to touch and glowing, seriously, glowing! With so many ‘energising’ moisturisers out there, it’s great to see one that “does that is says on the tin”. 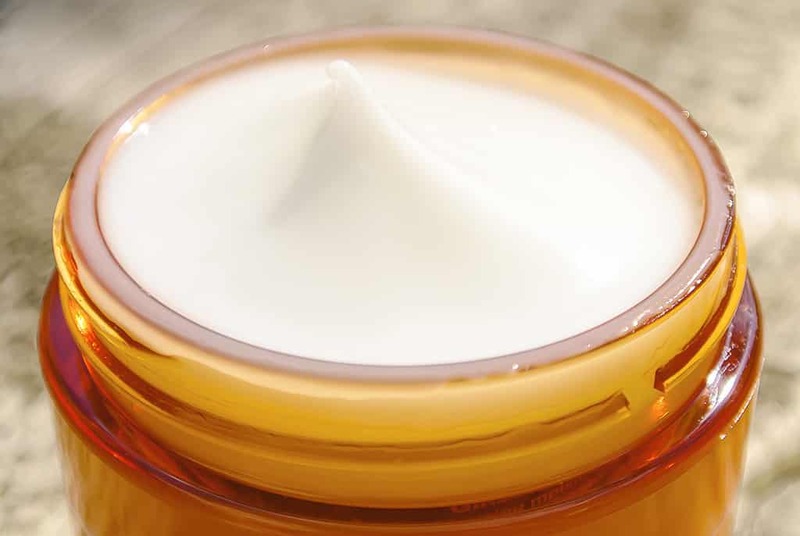 Many oil-free moisturisers don’t feel as nourishing and hydrating as they could; then on the flip-side, a lot of moisturisers that nourish skin, leave it shiny and congested. 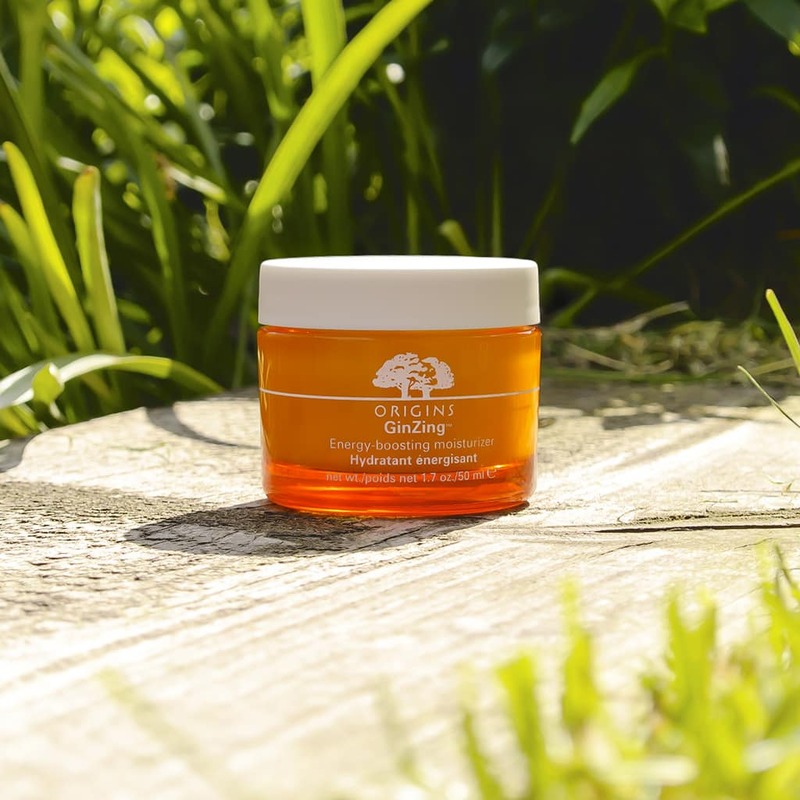 Origins GinZing Energy Boosting Moisturiser provides the best of both worlds with no oil, leaving skin with no shine, but with a soft, hydrated feeling and a gentle, dewy glow. With Panax Ginseng and Caffeine, it’s full to bursting with vitamin c. As well as being a super antioxidant, vitamin C brightens skin as well as breaking down surface pigmentation. Other antioxidants also include Apple, green-tea. As well as caffeine and ginseng, there’s also skin soothing grapefruit oil, uplifting lemon and energising spearmint oil. You can really imagine how this smells huh? There’s also cucumber, camomile and baikal skullcap working together as powerful anti-inflammatory ingredients. Now, I’m personally quite content with the moderate use of these common skincare ingredients, but it does contain both silicone and dimethicone which do have a few sensitivity question marks surrounding them; these help to smooth out the skin’s appearance. I’ve been using it every morning over the last week and have noticed how perfectly hydrated my skin feels throughout the day, so there’s no worry of it being too light (I have combination skin). It’s also perfect as an aftershave balm, helping to sooth the skin as caffeine is also an anti-inflammatory, giving another reason why this is so great for us guys. There’s no labelled SPF on this product but it does contain a small amount of Titanium Dioxide, a UVA and UVB sunscreen. There are also a few ingredients in here that help break down the bonds of surface dead skin cells, ensuring that skin looks fresher throughout the day, helping to prevent the build up of dead skin. 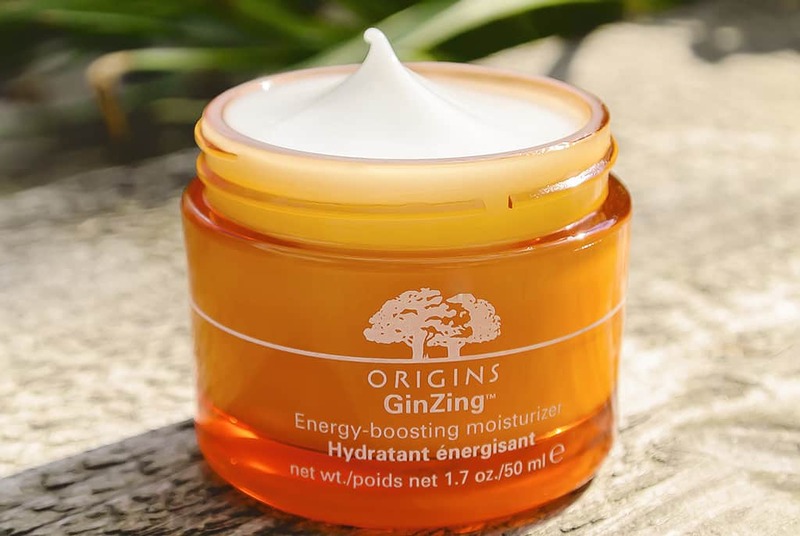 A great moisturiser for summer, Origins GinZing Energy Boosting Moisturiser is £23 here at Boots. So, what do you think? Do you have any Origins favourites you’d recommend? If so, drop me a comment below. This article first appeared on MANFACE written by Thom Watson. It was published on Monday 27th May 2013 and was last updated on Monday 3rd April 2017 at 3:39pm. It's categorised under Combination Skin, Moisturise, Oily Skin, Origins where you'll find more related content. I’m a girl with very oily skin and quite prone to acne and currently on clyndamycin topical solution which works fantastic on me. It is non-drying, less harsh, and very affordable too. I’m not using any moisturiser underneath my 50++ spf during the day because I’m yet to find the one for me. Do you think this will suit my skin well? Oh you’ll love it! Mine’s not that far off running out an definitely something I’ll be renewing!